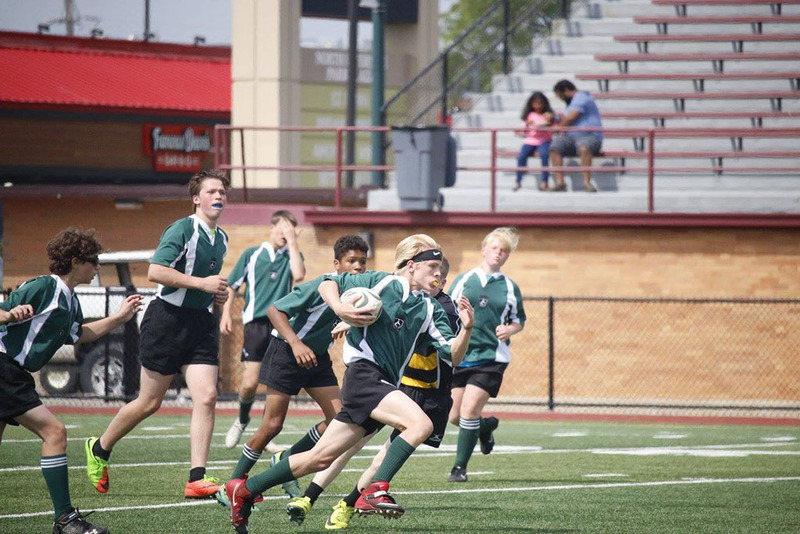 Naperville Crusaders Rugby was founded in 2009 in order to promote rugby at the Junior High School level and has grown to include co-ed programs available each winter, spring, and summer for 1st through 8th graders. Spring rugby season is just around the corner! House League: Practices are Thursdays with in-house matches taking place on Saturday mornings at Commissioners Park. The house league season runs from April 4th – May 18th. 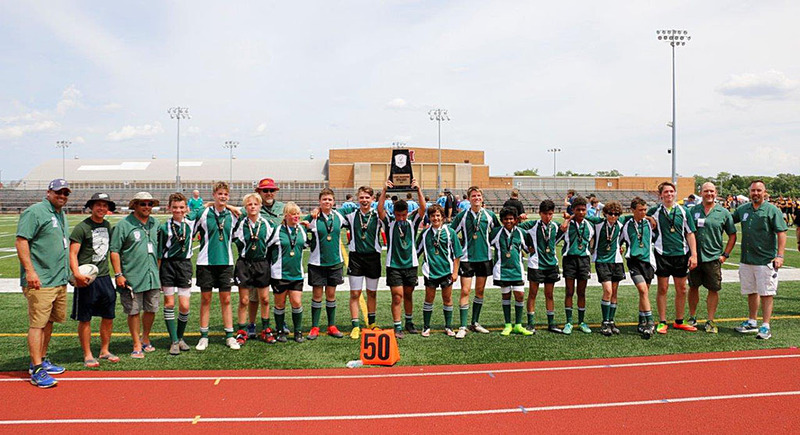 Premier League: Practices on Tuesday and Thursday each week with teams participating in Rugby Illinois Middle School Division competitions on the weekends. 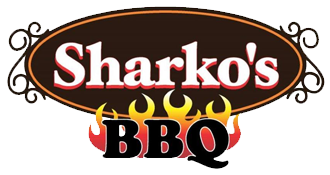 League matches are generally played on Sundays at various Chicago metro area locations week to week. Participation in all practices is encouraged, but not required. Participation in Saturday in-house matches is optional. The premier league program fee includes Rugby Illinois and USA Rugby memberships, which are required for inter-club competition. The premier league season runs April 2nd – June 2nd. You can register for both league programs on the Naperville Park District website. Program registration details can be found on the Naperville Park District website and in the Spring NPD catalog, page 112. Please contact us with any questions about the spring season or the two program options being offered this year. Our philosophy is very much centered on youth development through sport and teaching rugby in a positive and encouraging environment. We welcome players of any ability level and virtually all participants come into the program with zero rugby experience. On the field, the Crusaders have enjoyed tremendous success with three State Championships and numerous players earning All-State honors! 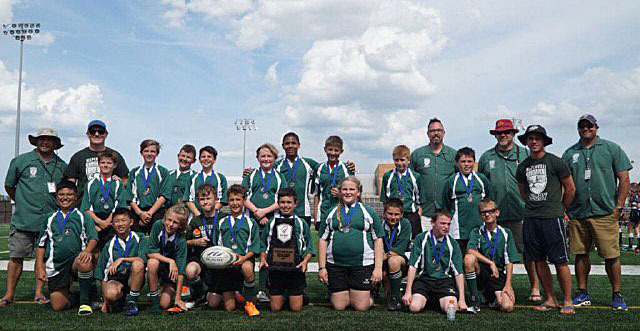 Player, parent expectations: Our goal is to introduce rugby to as many kids as we can and as such are happy to be flexible in accommodating your schedules. If you have limited availability, that’s okay, we’ll figure something out. Participation in our programs are not an all-or-nothing exercise! Ask about a free trial session too. We are very flexible to work with you around other commitments in order to introduce rugby to as many new players as possible. We’d love to have you play for us! Please get in touch with questions.